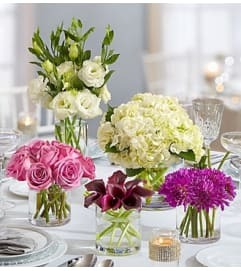 Just like the happy couple, our mix of roses, freesia, Calla lilies and dahlias are the perfect pairing. 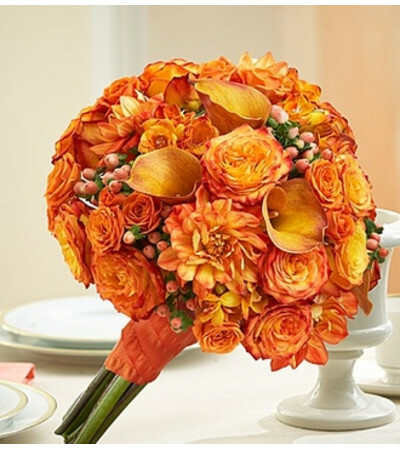 Accented with hypericum berries, the shades of orange will add beautiful color and charm to your wedding. 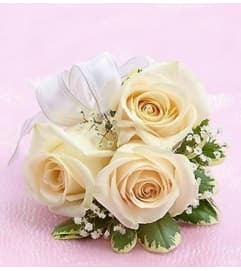 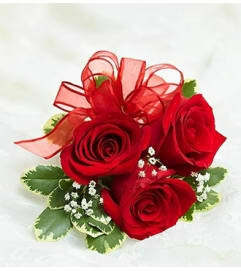 Available in three sizes, it’s perfect for the bride, her bridesmaids or the flower girl. 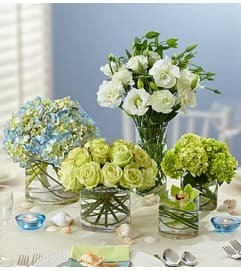 And don’t forget the matching petite bouquet–an artfully designed arrangement perfect for the mother of the bride or groom, a special guest or as a toss away for the reception.